SCC’s First international food fair was a hit! St. Charles College students from three different clubs, the International English Café, Model United Nations Club and Student Council worked in collaboration in promoting and organizing their country booths to create such a successful annual food festival. 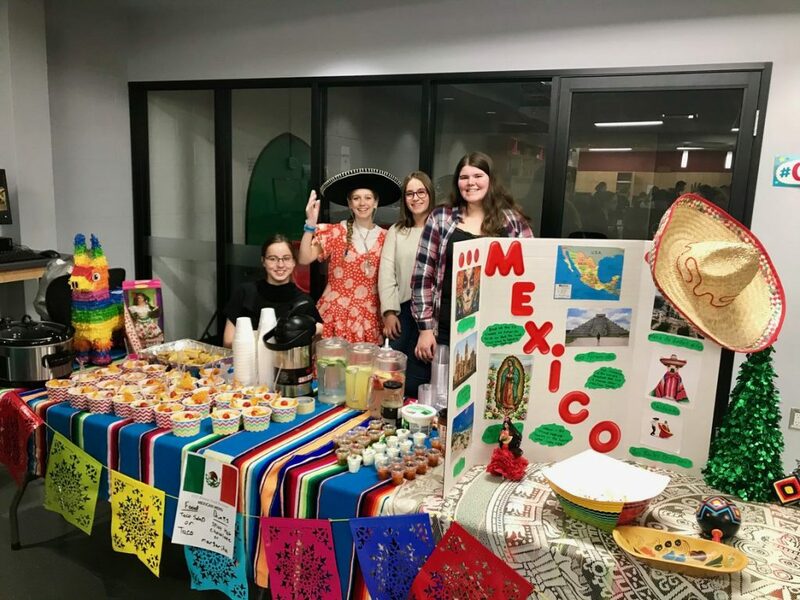 The international food fair was comprised of 25 countries from around the world that predominantly symbolized the cultural diversity that is most evident throughout the school. Countries like China, Philippines, Vietnam, Japan, Russia, Mexico, Greece, Italy and much more were represented with fine décor, music and home made food . The importance of this event was to allow students and teachers to come together as a school community to promote an inclusive learning environment, while taking an interest in building cultural diversity within the school. The students gained a thorough understanding of the importance of multiculturalism through our community. The event was held Thursday, November 15th, from 10:00-1:00pm; where over 700 students from grades 7-12 participated, enjoyed the delicious foods and learned about the various countries on display.